RPM and Aboriginal Music Week are joining forces for an epic closing night party this year. Check our exclusive AMW Mixtape to get a taste of what’s to come. We enlisted the talent of rising Anishinaabe hip-hop producer and DJ Boogey the Beat to compile sounds from this year’s AMW artists and it’s the perfect soundtrack for #MixtapeMonday. Bringing together hip-hop and R&B tracks from all of our closing night party performers including—Hellnback, Mariame, T-Rhyme, and Tall Paul—as well as the eclectic electronics of Exquisite Ghost, the rap stylings of Mic Jordan, a guest appearance by Lightning Cloud, and some of Boogey’s own killer productions, this is a party rocking, beat-based excursion into the contemporary sounds of #IndigenousExcellence. 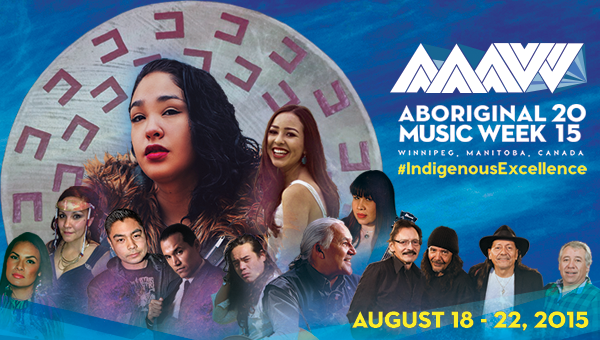 And don’t forget to join us for the Aboriginal Music Week Closing Night Concert on Saturday, August 22nd at The Good Will in Winnipeg, Manitoba. Tickets and info here.